Sydney by Kayak have been a client of ours for 3 years. We interviewed their Director | Kayak Instructor – Laura Stone to find out more about her exciting business. What inspired you to start Sydney by Kayak? Sydney by Kayak evolved from a previous business, which was an outdoor Personal Training business. Initially running boxing classes and run clubs in Lavender Bay and due to the increasing competition in the fitness industry, I needed something that was a little different. I was already kayaking and really enjoying it, so I spent a few months with some incredible kayak coaches, learning the strokes and getting qualified as an Instructor. The training was intense and there were a few moments of tears but qualifying and getting my license to run Kayak Fitness classes was an amazing step in my career. These fitness classes were popular with the locals, especially before work. I used to bring myself a coffee to each class and my regular paddlers used to text me the night before and ask me to grab them a coffee as well. Before I knew it, we were all sitting in front of the harbour bridge, taking photos of the sunrise and drinking coffee, not really doing much “fitness”. I started seeing more and more new faces, people just wanting to witness the sunrise from the water with a coffee in their hand and before I knew it, I was taking tourists out! We rebranded our business in 2013 and Sydney by Kayak was officially born. I ran the business on my own until our son was born in 2017 then my husband, Ben, left the corporate world to join me on the water. We’re now a kayaking family, loving a little more work/life balance. This varies a little throughout the year, but a typical February day starts with a 4am alarm clock. We head down to Lavender Bay for our first tour of the day, which is our most popular tour, the Sunrise Kayak and Coffee. This is a 2 hour tour and includes a coffee as we watch the sunrise over the Sydney Harbour Bridge. After this tour, we run smaller group tours, similar to our sunrise tour, but with the sun already up. We also run couples tours and private tours, later in the morning. Between us, we run around 5-6 tours per day. We’re usually finished kayaking by midday and pack-up our 20 kayaks and head home. We have a few jobs to do at home, such as refill our water tanks in the vans for washing the kayaks, wash all of our reusable coffee cups, write out the coffee orders for the next days tours, reply to all emails and private tour inquiries etc. We put our son down for a nap after lunch and then we spend some quality time together as a family in the afternoons. We have a list of pre-tour jobs to do each afternoon, such as weather reporting, getting all of our gear packed and organised and any birthday cakes set-up for the next day. We do a pre-brief with our co-Guides, letting them know who is on the tours and any notes about their experience or medical etc. Once bedtime routine is done with our little boy, we tend to find we’re ready for bed ourselves. We do this 7 days a week, so it’s normal for us now. Kayaking everyday – this has to be the dream job? I’ve been doing this “job” for over 5 years now and sometimes I still feel like I have to pinch myself when I paddle past Luna Park and see the sun hitting the horizon underneath the Harbour Bridge. Every day is so different. The colours in the sky, the cloud formations, the water surface, the people we paddle with, the banter and stories that my incredible Guides tell the groups. I love it! I’m certainly not saying it’s an easy job. It’s very physical, weather dependent, and we have to be on the ball with safety and making sure everyone is having a great time, but it is definitely an incredible job. When I think about the time I’m able to spend with my husband and my little boy every day and what I actually get to do for a living, I’d definitely say it’s a dream job. 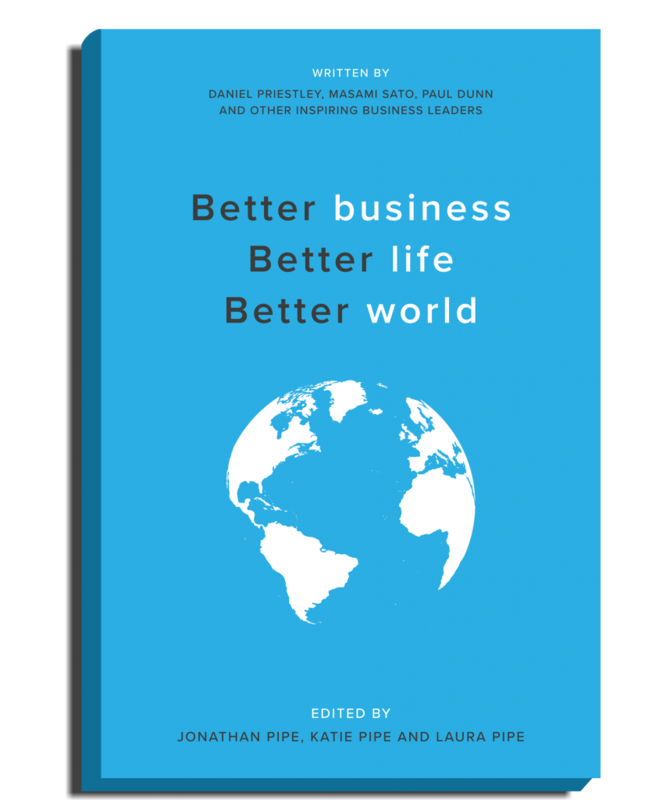 What challenges do you face running a small business? When I started the business, I had no idea it would be as popular or as busy as it is today. I started the business out of passion, doing something that I love and it grew really quickly. There seemed to be a big demand for what I was offering and when I was pregnant and then a new mum, I struggled, mentally and physically with doing everything myself. I had to learn quite quickly how to hire staff and delegate parts of my role to others, which was really difficult for me. A couple of years on and I have an incredible team, known as my Dream Team. My Head Guides and co-Guides are as passionate and as caring of my customers and the environment as I am and it shows in the reviews they get and the feedback people send me. It’s amazing! My passion is kayaking, fitness, customer service, telling stories and talking to people. What I don’t love or understand, is accounting. Anything to do with invoicing, numbers, tax time or reports, my brain tends to look the other way. Imagine Accounting have been amazing. We meet with our accountant, Marius, and tell him what’s going on in the business and he just gets it and knows how to help us. He’s always available if I have obscure questions and he helps with things I don’t understand. We would certainly be lost without them. We even bring our 2 year old cheeky monkey in to the office with us sometimes and the team are very accommodating of him being there. We have some exciting things happening in the next few months, which, I imagine in the next 5 years will be huge. You may even read it here first! 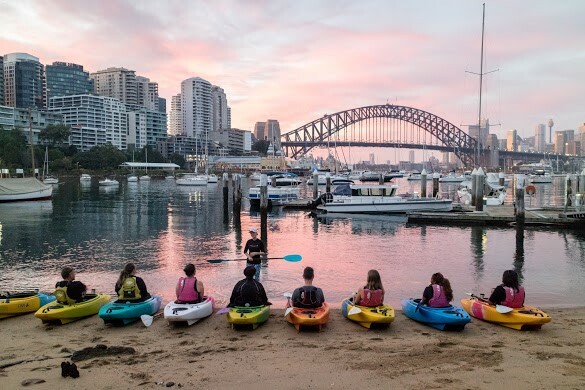 Sydney by Kayak are collaborating with the Sea Life Sydney Aquarium and The Sea Life Trust to raise funds through our Clean-up Kayak Tours to purchase Seabins for Sydney Harbour. Each Seabin is around $6,000 and we hope to fund and purchase our first Seabin for Darling Harbour in the next month or two. We have also collaborated with a local Waterbike company, Aussie Waterbikes, who join us on our clean-ups and tours around Lavender Bay. In 5 years, we hope to have a number of funded Seabins around Sydney Harbour and if we grow our corporate clean-up tours enough, we hope to fund some other environmental projects as well. We are always looking for ways to improve our Sunrise tours and feedback is always welcome, but we feel we don’t want to “grow” this area of the business anymore. We love the small, personable groups, the great coffee from Tony at the San Antonio Bakery in Kirribilli, the comfortable kayaks we buy every year from Finn in WA, and the exceptional Guides and their photos. What is the best way to join a tour?